Like us on Facebook to see new items. This chic chaise with animal print upholstery makes a stylish addition to any home that is sure to grab - and hold - the attention of your guests. 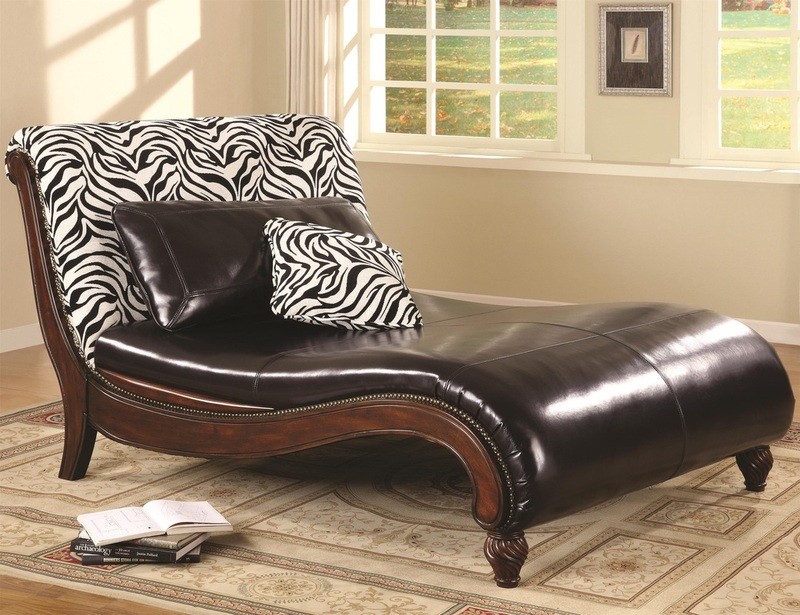 A leather look seat wraps the sleek curves of the chaise's exposed wood base and is accented with a coordinating seat back upholstered in a fabulous zebra print. Curvy turned post feet and nailhead trim bring just a hint of classic style to this bold chaise. Accent stitching and coordinating throw pillows complete the fashionable look of this animal print chaise lounge. 2177 Mountain Industrial Blvd., Tucker, GA 30084. Tel: 678-937-9297. Sun: 1-6. Mon-Sat: 11-6.